Forza 7 is a phenomenal racing masterpiece that amazes despite some odd design choices. The answer, as it turns out, is quite a bit. 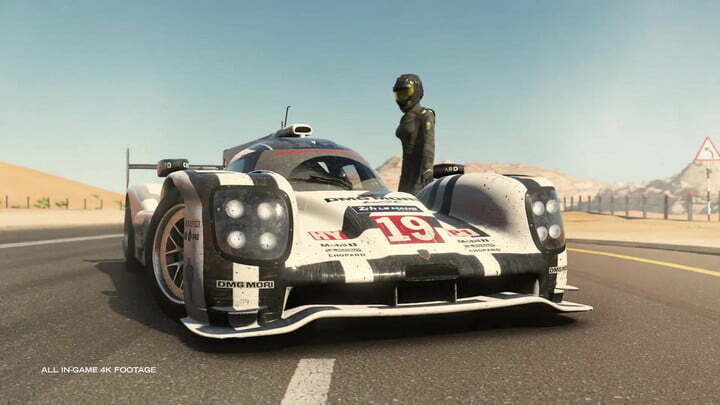 Forza Motorsport 7, the newest entry of Microsoft’s tentpole racing franchise on PC and Xbox One, already has a couple of lofty records: It has more cars, more tracks, and generally more things to do than any racing game to date. 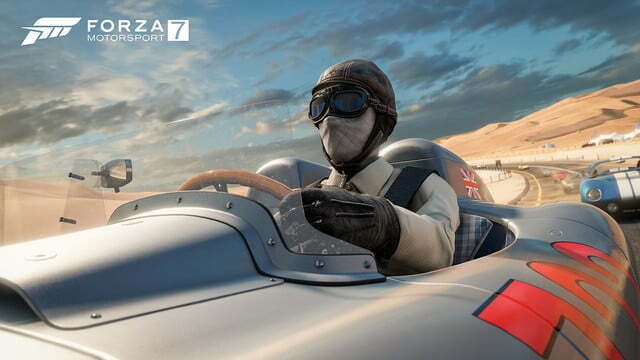 In an era dominated by open world content-munchers, that might sound more exhausting than inviting, but in playing the game for our review, we discovered that Forza’s breadth is exactly what makes it special. At this point, the core formula for the series has been refined to the point that racing in any vehicle feels incredible. What Forza 7 does then, is encourage you to break out of your mold and try cars you might not have ever given a second look. Whether it’s an open-wheeled Grand Prix legend from the 30s, a beefy racing semi, or the slickest top-end luxury car on the market, Forza 7 not only has a great set of races for each, but understands why trying so many different pedals and wheels and spoilers — each vehicle is like a puzzle unto itself, waiting for you to experiment with it. There’s an absolute reverence for cars that seeps into every aspect of Forza 7. The series can oversell its favorite cars and tracks at times. Some of that, no doubt, comes from the huge marketing dollars companies put into the game, but it also goes out of its way to highlight how much fun can be had in both the workhorses and the status symbols, by making them all a lot easier to drive. 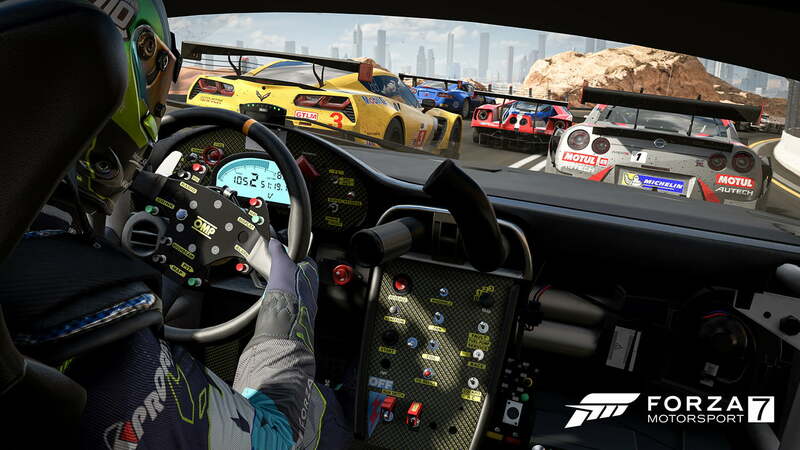 Microsoft’s Forza Motorsport series has repeatedly impressed, creating new features that we didn’t know we wanted, such as adding UI to help you find the perfect driving line and ghost doubles called “Drivatars” that simulate your friends’ best times. These have helped make its brand of super realistic racing — with advanced physics simulations and detailed car tuning — into something that almost anyone can enjoy. Forza 7‘s specific strengths seem nebulous at first. You won’t find any innovations quite as special as the race rewind or the Drivatar here, but the focus on constantly changing cars means each race feel substantively different, and there are a thousand smaller improvements that tighten everything. 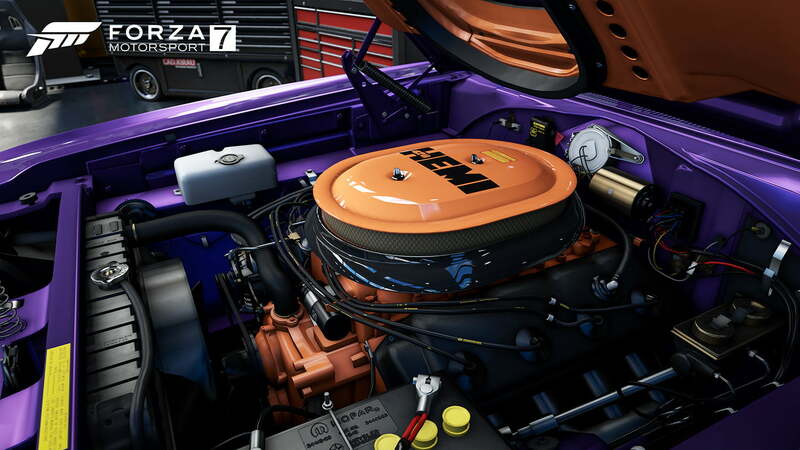 Rather than death by one thousand cuts, Forza innovates with one thousand miniature upgrades. Forza’s breadth is exactly what makes it special. Most notable among them, is the AI, which has gotten a huge bump. Catching a computer-controlled race leader will be harder and require more strategic planning. 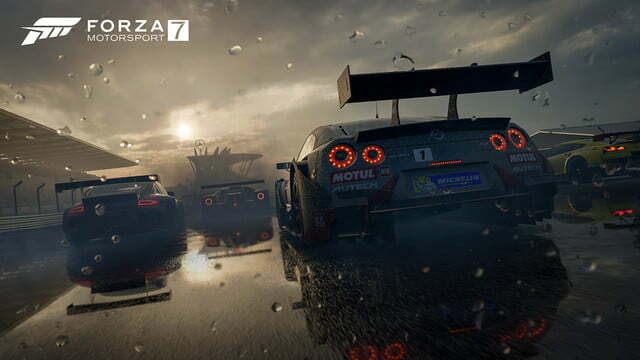 The game’s new dynamic weather will alter not only whether a track is wet, but visibility, puddle size, etc. In longer races against tougher opponents, that can be the foundation for all sorts of strategic decisions — e.g. which corners you’ll use to make up time — and add a unique challenge on its own. It’d be nice if we didn’t lose the ability to pit souped up Mazdas against Maseratis, but it’s hardly the end of the world. On top of that, Forza‘s single player mode has been largely restructured. Before you do anything else, you’ll have three showcase events to complete. These are your basic tutorial and meant to give you a taste of the breadth of racing styles that await you. 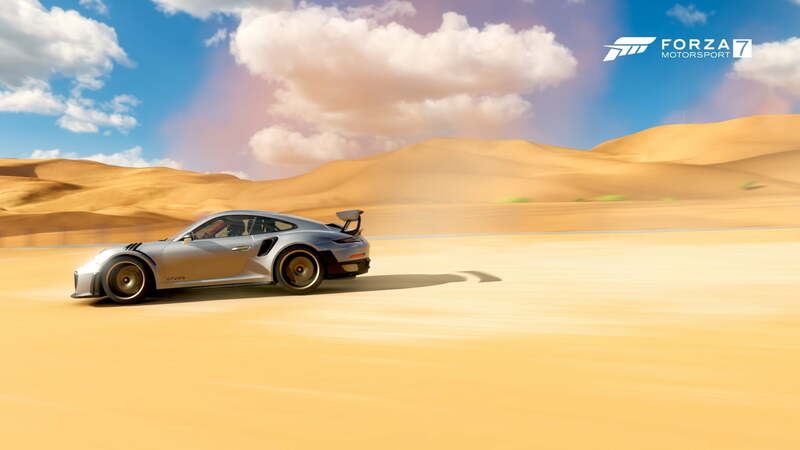 Your first sprint will be in the Porsche 918, a blazing-fast hybrid hypercar, and provide an exhilarating chase through gorgeous backgrounds modeled after the streets of Dubai. Minutes later, though, you’ll be in a hefty, sport-built semi-truck making tight corners on the Suzuka Circuit — and both feel incredible. While the Porsche handles like a dream and rockets off the line, trucks pose their own challenges. They’re bulk makes them unstable at anything north of 50, even in a racing configuration. They also have to shift through almost a dozen gears to get up to speed. The added challenge in the heat of a race gives you plenty to do. When you’re also given tight turns to negotiate later, that 85 mph has all the grit and the thrill as 220 in a sportier auto. It’s that point where the vision of Forza starts to make sense: Every car is special and deserves to be driven in vaguely uplifting Saturday morning cartoon-y way. Whether because the car itself feels great to drive, or through a combination of pairing the right tracks with the right vehicle, every race is amazing. 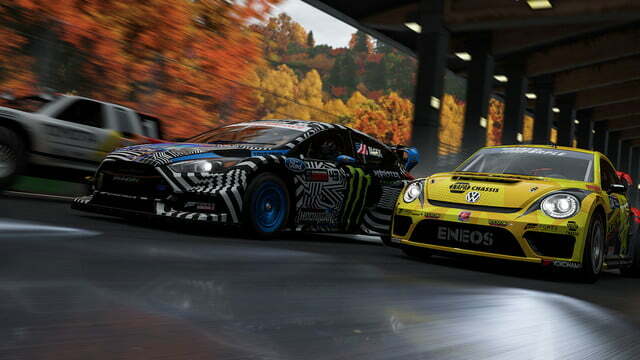 There’s a genuine thrill that comes with snaking your way through other drivers, and gunning for the finish. Even more so when you know that mistakes are costly — a poorly-executed turn, could doom an otherwise clean race. Forza also lets you rewind the game a bit, taking away the frustration that may come with screwing up a long race in the final stretch, but the challenge remains. Your goal here is to take whatever car you like on whatever sequence of races you like and do the best you can. It’s a digital playground, packed with everything from hot rods to million dollar cars. If driving is your jam, there’s no better place for it. 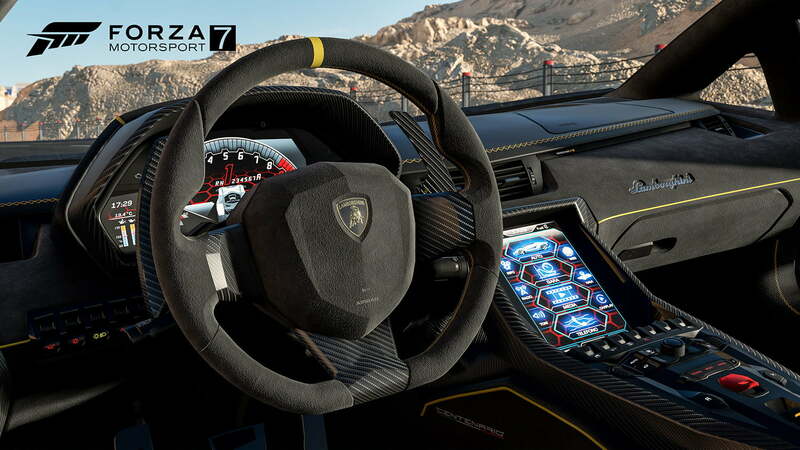 Forza 7 has a whopping 700 vehicles to drive, and every one that we tried felt distinct. That may seem like a small point, but car variety is the primary source of challenge and progression. Unlike some previous iterations which would allow you to use the same or very similar cars for hours on end, Forza 7‘s single player will usher you through a structured set of races and a rotating roster of new cars to challenge your skills. After the trio of tutorial races, you’ll get one car for free, selected from any of the vehicles that are compatible to use for your first batch of challenges. After that, you’ll need to race to earn credits, which you can use to buy more cars, compete in more races, and complete the cycle anew. There’s an impressive array of rides available from the start, and plenty more open up for purchase as you increase your “collector” level, which scores cars based on rarity and assigns you a personal rating based on your cars. To unlock high higher-tier cars, you need to keep winning and keep buying new cars, rather than simply earning them for spending time on the track. It’s a digital playground, packed with everything from hot rods to million dollar cars. More than ever, this system not only pushes you to try many different cars, but also lots of different styles of racing. And it does this all without a linear slog through old, slow cars, then slightly faster ones, until you finally “level up” to the Lamborghinis and Ferraris that so often plagues racers. 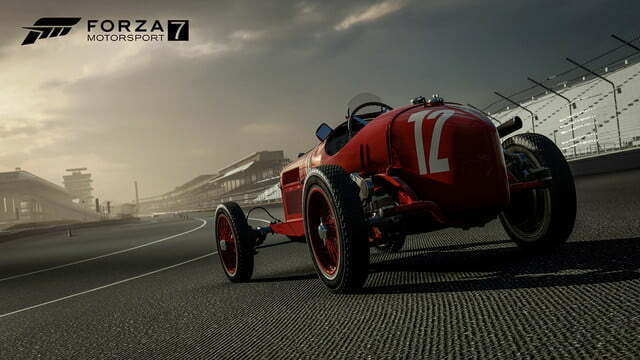 More than that, Forza 7 uses that breadth to cycle through tons of creative challenges. You’ll compete against the digital recreations of real-world professionals (thanks to Turn 10’s Drivatar system), or push through a 100-mile endurance run. All in scenarios engineered to be an exciting test of a new facet of your driving ability. By presenting a Honda Civic and a Bugatti Veyron together, with challenges tailored for each, Forza keeps play exciting and changing. You’ll have to familiarize yourself with plenty of cars, but you still get to choose which ones and when. If you like the idea of variety but you’re opposed to driving a Jeep, for whatever reason, then you won’t have to. Your game, your choices. To a point, anyway. 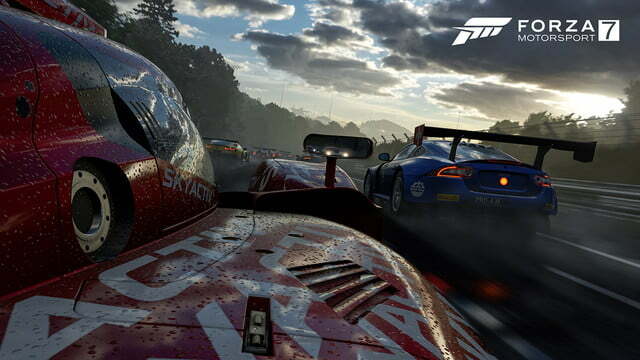 In the process of making every car competitive and capable on its own terms, Forza has, for the first time, placed some extensive restrictions on which cars are eligible to race against one another. The series has long used its own system to roughly categorize cars into broad tiers, represented by a number. The lower the value, the worse the car, with the absolute best of the best — often tuned Formula 1 legends — getting a score of 999. In past games, you’d be able to race any Class A (between 600 and 699) against another. Forza 7, on the other hand, applies lots of extra limits: Not only are races locked down by tier, but also their type (late 90s sedans, for example), and what upgrades they have. And it’s that last point that’s the issue. One of the best ways to play older Forza entries was to buy a cheap-o car, upgrade and tune the hell out of it, and compete against autos that cost thirty times more. Souping up a car, creating an inconspicuous powerhouse, had made it into the game, and you were given broad freedom to customize your car, your way. That was, in part, what made it possible to play for hours and hours with the same car. 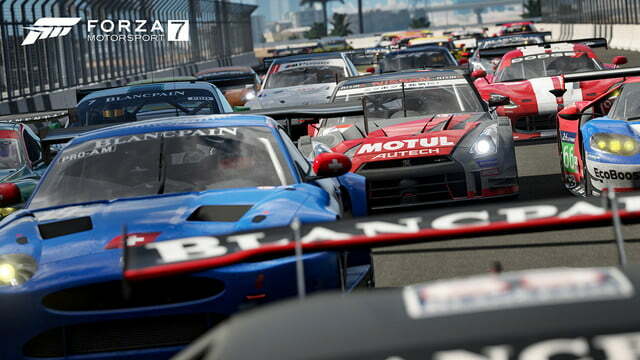 After you moved up to a new division in Forza 4, say, you could upgrade what you had and keep racing. In an effort to foster an appreciation for everything, that way of playing has been cut off and left behind. It’s not better or worse, but the new direction changes Forza 7. In the broadest sense, it feels less like of a sandbox and more of a guided tour through a museum, with different exhibits that transport you to different eras of car history. The child-like glee of running an upgrade hero through the ranks has given way to a more refined, collector’s approach. Every car is special and deserves to be driven in vaguely uplifting Saturday morning cartoon-y way. The only unqualified misstep is the move away from ambient electronic, which fit the series’ more upscale, showroom-vibe to a grimy country-rock score that feels very out of place next to about everything that isn’t a 4×4. In so doing it drops the tone of ethereal reverence Forza once had for its subject matter and feels oddly tamer. Guitar riffs evoke mastery control, more so at least than airy electronica. And the twangs certainly don’t mesh too well with the clean, luxurious aesthetic Forza 7 strives to embody. Also disappointing that Microsoft dropped Forza Horizon 3‘s in-game music streaming, so you can’t easily play your own tracks from in-game. Still, most of the type the music plays sidekick to a cacophony of car noises, so it’s unobtrusive enough that it’s only an occasional frustration. The new structure could also lead to a new brand of shady microtransactions, one of the series worst traits. Developer Turn 10 has already announced its plan to incorporate Tokens, a second in-game currency purchased with real money, in the near future. It will presumably be used to purchase loot crates, which give you a random assortment of consumable bonuses and quick access to gear, including rare cars. This is common for the series, which often has an MMO-like, evolving post-release economy that can have major effects on how people play down the line. The in-game auction house also isn’t live, meaning it’s essentially impossible to swap cars with others for now. None of these features are necessary, but it does come off as a bit scummy, particularly considering the rapid growth (and abuse) of loot crates as a financial tactic. You can use credits, which you earn from races, for loot crates as well. 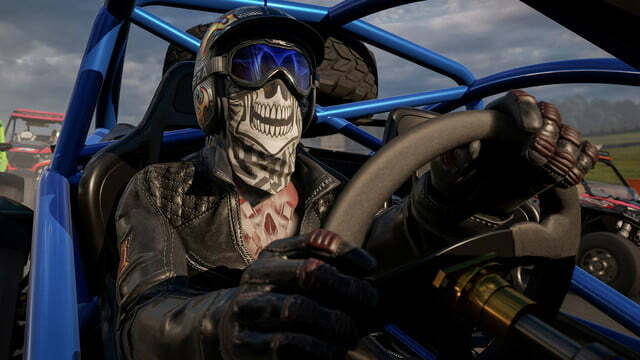 Some cars and cosmetic gear for your avatar are only available through these boxes. They’re also unreasonably expensive relative to what you could buy with those same credits if you just went with standard cars and upgrades. The issue is that mods, which used to be a standard means of controlling difficulty for players, are now only available through pre-order bonuses and in-game gambling. This had earned it the fitting “pay to earn” moniker in a scathing Ars Technica report on its bizarrely exploitive approach. Despite that, Forza 7 does offer plenty to do without having to invest extra. 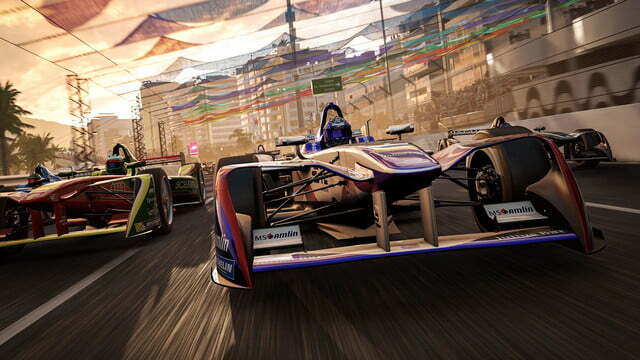 It has three times as many cars as some its more consumer-hostile predecessors (lookin’ at you, Forza 5), and, more importantly, they’re put to greater use thanks to more variety in race type and rules as well as the natural variance that comes with tracks and other drivers. Roll that together with vastly better AI and tons more to play with and experiment, and you have an exceptional game that succeeds in spite of one pernicious problem. Like Forzas past, driving in Forza Motorsport 7 isn’t about any one thing. It’s not about being the fastest or the best. It’s not about winning, even: That’s the goal of this game, but you don’t have to place anywhere near the top to have a great time or earn more cars. It’s about the bizarre intersection of cars in our lives — about how they can be both works of art and pragmatic, about how they can be a symbol of the Earth’s destruction or a sign of hope through ingenuity. Forza 7 doesn’t need to understand why we love cars, but why they’ve been and continue to be such an important — and contentious — bit of modern life. Breathless though it may be, Forza 7 can show you why cars matter, and why so many care so much about them. Not quite like this. Forza 7 is the most comprehensive game of its type with more cars, more features, more tracks, and more of everything else than anything comparable today. If, however, you’re looking for something a bit more in the style of classic arcade racers like Need for Speed, last year’s Forza Horizon 3 might be a better match. 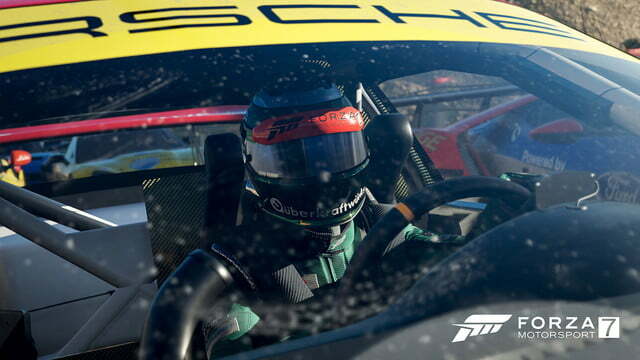 Forza’s main sequence of single-player races should take players more than 20 hours to complete, with dozens more waiting in additional challenges, multiplayer modes, and in collecting the cars themselves. Yes. While the move away from more customizable cars for competition, may strike a negative chord with longtime fans, Forza 7 is an excellent racing game. Forza Motorsport 7 was reviewed on Xbox One with a review code provided by the publisher.